At the Fence: World Vision's Gift Catalog! Here is our very first post for our Holiday Gift Guide. All through November and into December we will be posting great gift ideas. Please be sure to stop in often to see what we have found. World Vision's Gift Catalog is a gift that will give to others and keep giving, not just for a day. I am going to get on a soap box for a minute. Today, we are too spoiled. Most people have what they want and more. When we go to purchase something, we want it the flavor we want, or the color we desire, and if it isn't we are unhappy. As a nation we have more than we need and are raising our children that way. The minute a new game console comes out, they have to have it. A new style of clothing, we get rid of what we have, even though there is nothing wrong with it, and move on to the new. Now, I am not saying everyone does this, I am just saying overall we are raising a nation of unhappy, dissatisfied people. I will step down now. Through World Vision's Gift Catalog you can receive a gift for yourself or someone else along with helping a child or family in need. You can choose a gift like the Prosperity Cinnamon which I received, or you can just choose a donation amount to give. When you choose a gift, your donation is tax deductible minus the fair value amount of the gift. 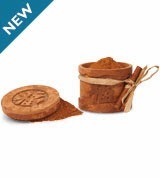 Such as, the Prosperity Cinnamon is $85 and you would take off $19 for the fair market value. The rest is tax deductible. There are varying gift amounts from $19 and up. Even a child could donate. For $19 you can give a rabbit. 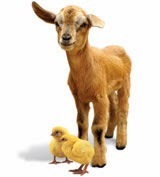 For $100 you can give a goat and two chickens. You can also choose amounts to give clean water, medical care, clothing and shelter, education and many other things. I would encourage my neighbors here At the Fence to stop by the World Vision website and take a look through their catalog. You might also want to follow them on their social media pages. The World Vision Gift Catalog offers more than 250 items that help fight poverty and save lives here in US and around the world. With a financial contribution, donors can select one of the 30+ Handcrafted Gifts that can be shared with a loved one and at the same time help a person in need. Let's get the focus off ourselves and what we will receive and help someone else. Also lets teach our children that it is not all about me. 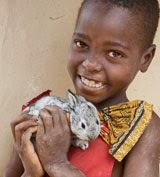 I am including pictures of the Prosperity Cinnamon I received from World Vision. One neighbor will also receive a cinnamon box. I have been smelling it ever since it arrived. Fresh cinnamon just smells so good. Please take some time to visit the World Vision website and then enter the giveaway. Disclosure:I received no monetary compensation for this post. I did receive product for the review. All quotes in red are taken from the sponsor's website or email. All thoughts and opinions are my own. I taught my children about giving their time. Sometimes giving of yourself is just as important as giving things. Each of my children does volunteer work in the local community. I remind my grandchildren to give to each other (share). We work with the kids all year round collecting toys for the Toys For Tots program and then as a family we deliver them to our local chapter. We participate as a family in volunteer efforts to give and serve others: food drives, donations, making and giving items who are needy or in crisis. Teach early that it is better to give than to receive. We volunteer our time once a month at a children's shelter and we give food, clothing, and gifts as asked for. We talk about how it feels to give and to receive and to always give to those less fortunate than us.